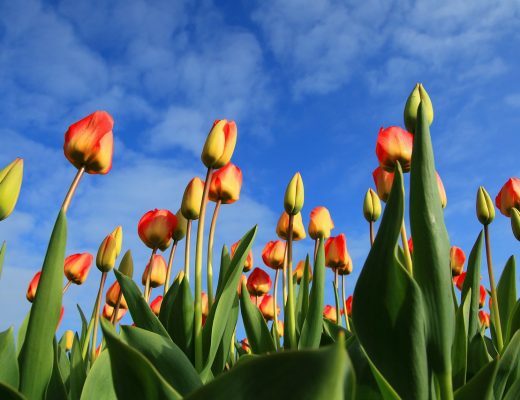 While I love to travel I also love to return to my home-state of Tasmania, Australia. I grew up mostly on the East Coast of the state but during the years I spent at university I lived in the capital city of Hobart and of course came to know the city very well. My favourite parts of this city include the historic neighbourhoods of Battery Point, Salamanca and the waterfront area. 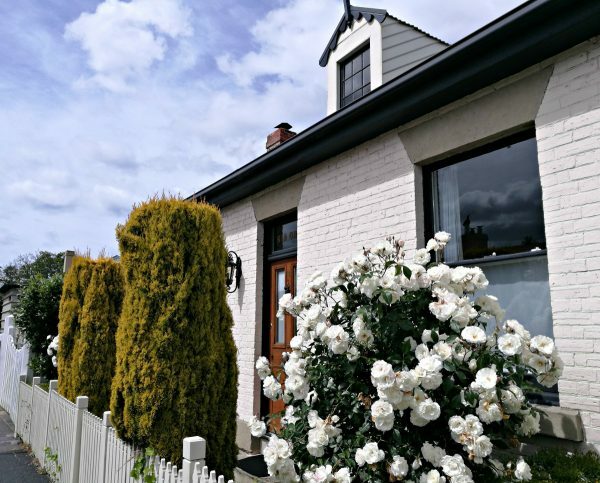 All of these places are in easy walking distance of each other and include many of the best sights and attractions that the city has to offer. 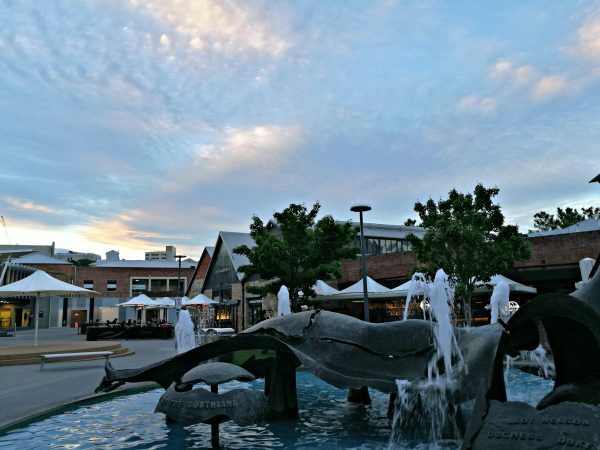 While there is definitely more to see in Hobart, I don’t think any visit would be complete without spending time in this historic waterfront area, so I have put together a guide to show you all my personal favourite spots to wander, explore, shop and eat. 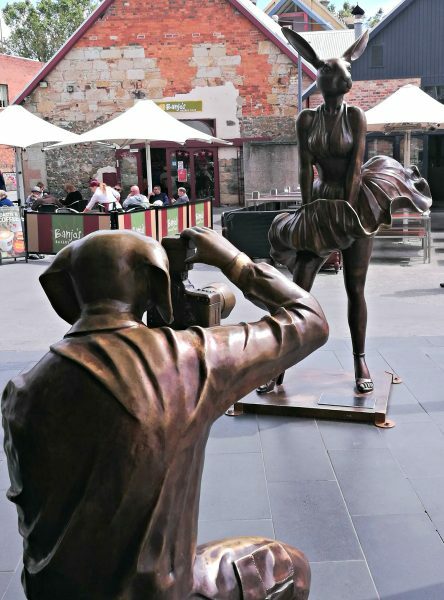 Read on to take a virtual tour and perhaps plan your own actual walking tour of this part of Hobart. 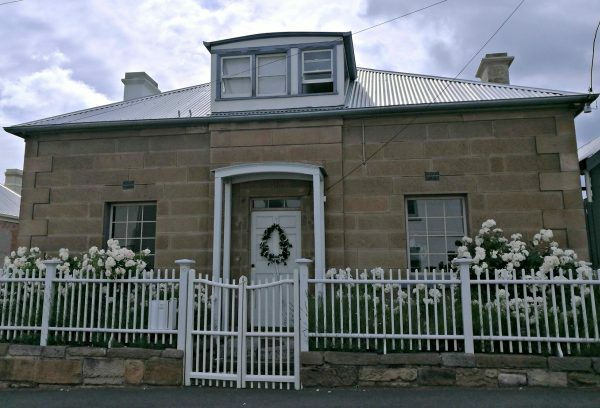 Battery Point is one of the most well-preserved historical parts of Hobart. 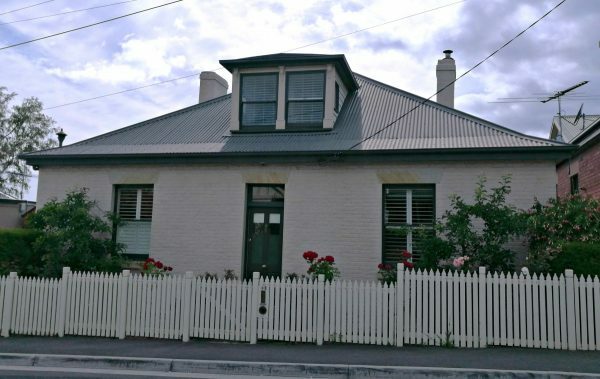 Here is where you will find many of the original colonial cottages from Hobart’s first days still standing. 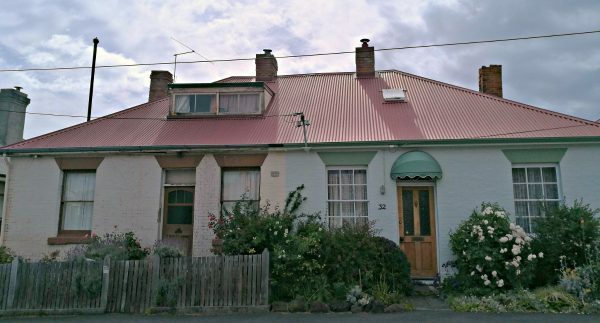 I actually lived in Battery Point for a while when I was at uni, and I used to love walking around this area and just enjoying seeing the quaint Georgian houses and lovely gardens. 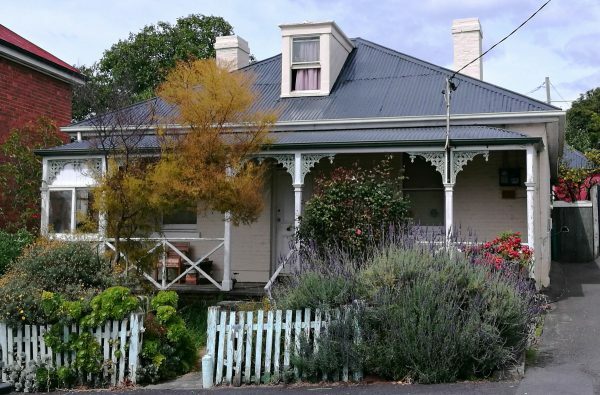 Nowadays a house in Battery Point (even a tiny cottage) can fetch a huge sum, but it’s completely free to wander around and imagine what it would be like to live here! There are also some lovely little parks, cafes and other sights to spot. 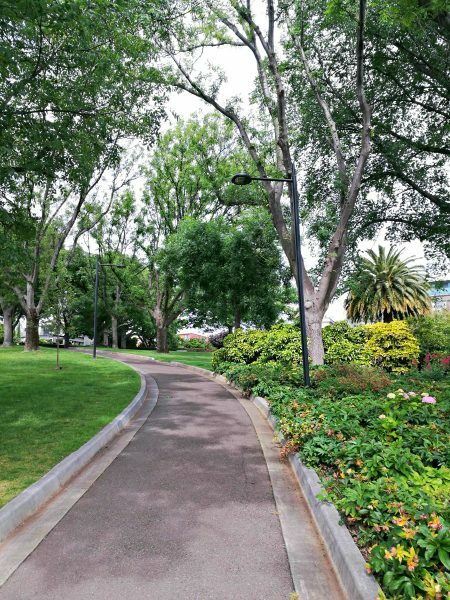 If you are travelling to/in Hobart by car I would recommend parking somewhere in Battery Point and then walking around here as well as down to the Salamanca Wharf and Hobart waterfront areas. 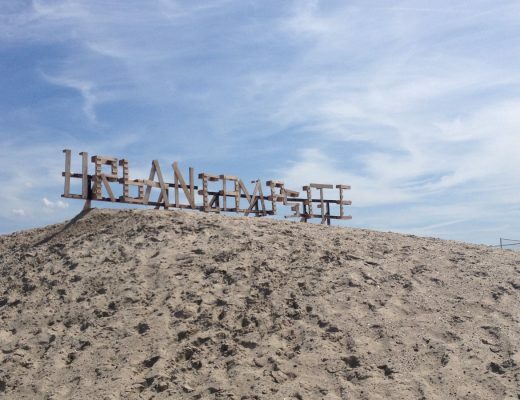 There are some streets in Battery Point that are free to park in (keep an eye out for signs) for a few hours so you can avoid the fees you would pay if you park closer to Salamanca. Choose your own route using the map but my personal favourite streets (with the prettiest houses) are Napoleon Street, Cromwell Street, De Witt Street, Sloane Street, Marine Terrace, Mona Street, Francis Street, Kelly Street, McGregor Street and South Street. In Cromwell Street you will also find St. Georges Anglican Church, which is very pretty and a fixture of the Battery Point skyline. It looks especially nice when lit up at night. Trumpeter Street also features some pretty houses, including the one where I once lived (below) and two doors down is the Shipwright’s Arms Hotel, known locally as Shippy’s and a great place for a pub meal! 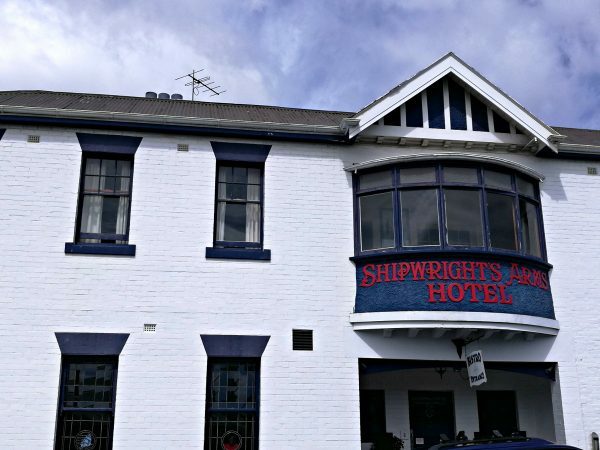 It is the official hotel for the Sydney to Hobart yacht race and has delicious food and in winter a lovely roaring fire. Along the main road of Hampden Road is Jackman and McRoss, a very popular bakery where you can get some lovely snacks, lunch or any type of bread you might fancy. Not far from here is Arthur’s Circus, a cute little park ringed around by more colonial cottages. In the other direction a bit further down the road is Narryna Heritage Museum. 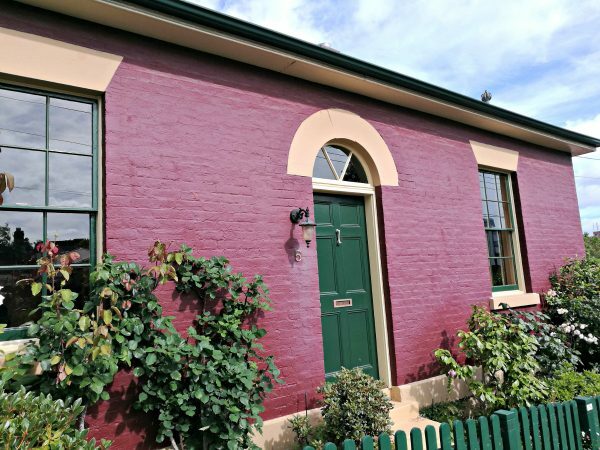 This museum is in an 1830s merchant house where you can now step inside and experience what it would have been like to live in Hobart in early colonial times. You can find out more about visiting this museum here. 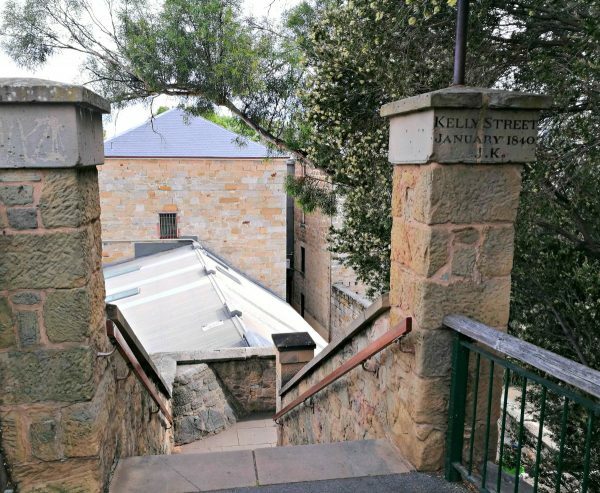 Make sure as you are walking to Salamanca to head down Kelly Street where there are also lots of gorgeous cottages and the historic Kelly’s Steps which lead down to Salamanca proper. When these steps were constructed in 1839 Battery Point was on a cliff overlooking the wharves. 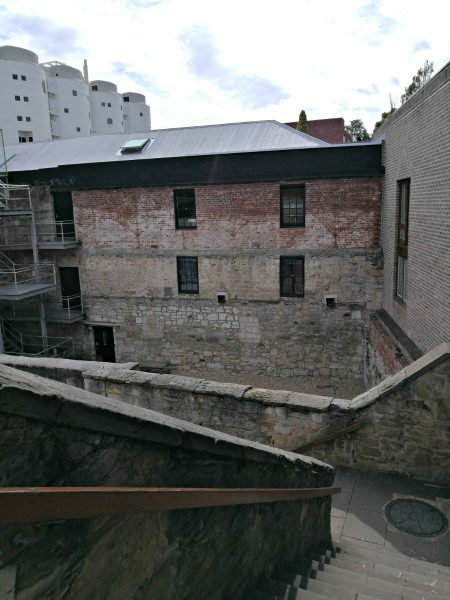 The steps were cut into the cliff and the sandstone quarried from these cliffs were then used to build the well-known warehouses that line Salamanca Place to this day. The steps are quite steep so for people who aren’t as mobile it might be easier to get down to Salamanca via McGregor and Runnymede Streets, or the more gently sloping Princes Park. This park is also home to a ship-themed children’s playground and some lovely green grass on a small hill (perfect for roly-polies!) so don’t miss it if you have children with you. The park also has some lovely gardens and benches to just sit and enjoy before you head into the hustle and bustle of Salamanca. The towering sandstone warehouses of Salamanca Place now house myriad art galleries, shops, theatres, cafes and restaurants. 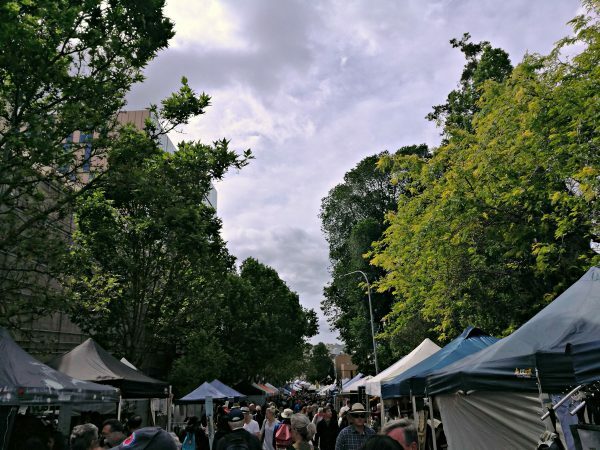 During the week the main road of Salamanca Place offers paid parking, but on Saturdays the street is closed from Davey Street all the way down to where Runnymede Street meets Salamanca Place and the area sprouts hundreds of market stalls. 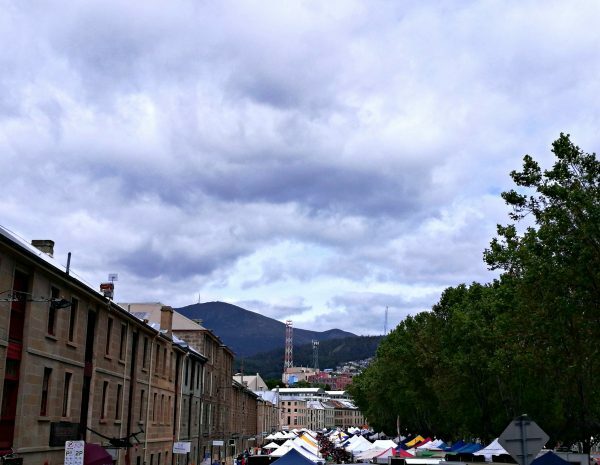 One of the most visited tourist attractions in Hobart, the markets are just as popular with locals and I spent many Saturday mornings and afternoons wandering among the stalls, shopping for gifts, clothing or fresh produce, listening to the buskers, meeting friends for a coffee and often popping into the other shops and galleries alongside the stalls. You can easily spend two or three hours wandering amongst the stalls, galleries and shops in Salamanca so make sure you give yourself enough time. 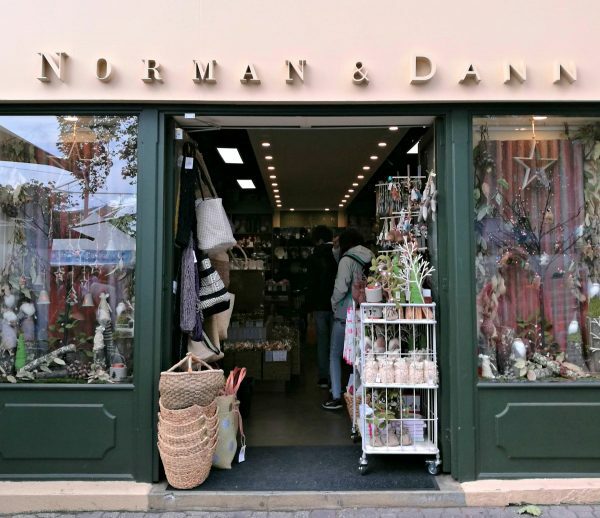 Don’t miss out on my favourite shop, Norman and Dann, where you can get mouthwatering chocolates, and Jack Green, a pub which has awesome decor and also serves cute little mini hamburgers as well as other food. 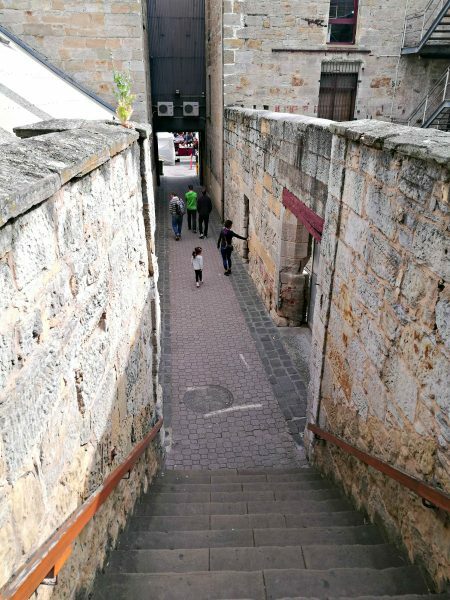 Also make sure you explore the little alleys behind the sandstone buildings and duck into Salamanca Square (you will know it by the fountain in the centre) for more shops, cafes, restaurants and pubs. 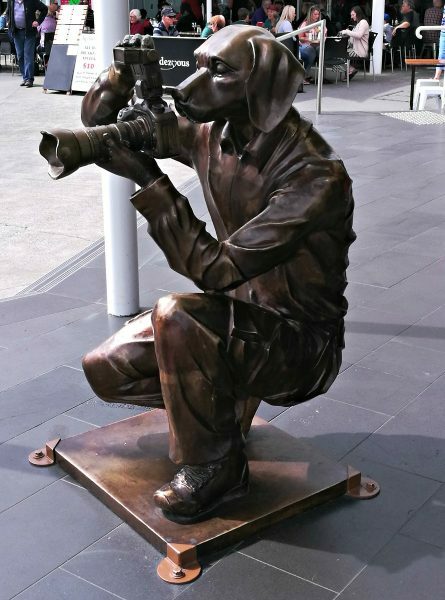 Keep an eye out for the relatively new sculpture of the dog and rabbit referencing Marilyn Monroe. 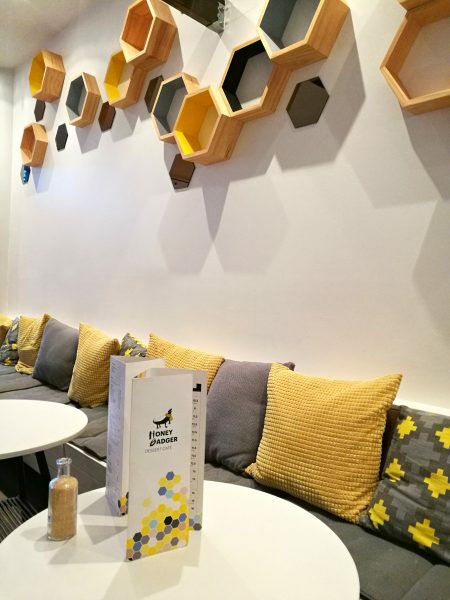 In Salamanca Square there are some other great places to sit and have a drink and a meal, including Honey Badger Dessert cafe which is divine! 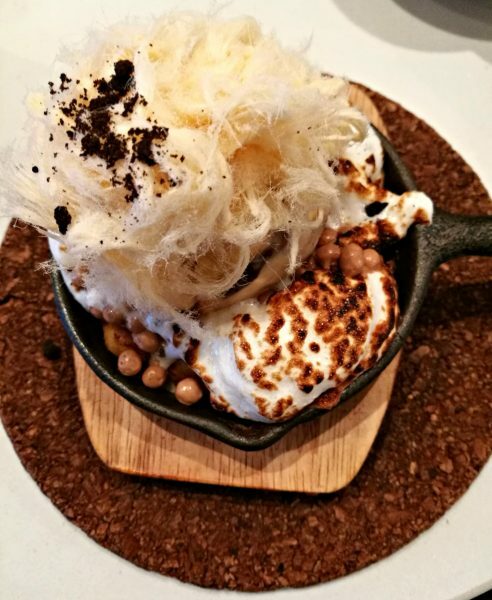 They have meals as well but their desserts are amazing. Last time I went I had a panookie, which is like a cookie cooked in a tiny griddle with amazing toppings. Their decor is lovely too. 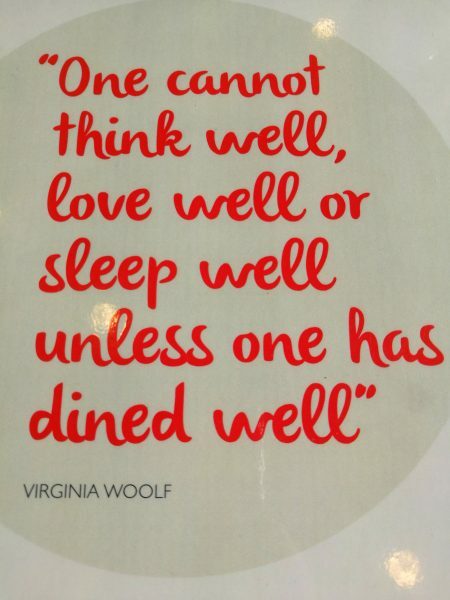 For other great places to eat in the Salamanca area you can’t go wrong with Smolt or Annapurna for the best Indian curries. 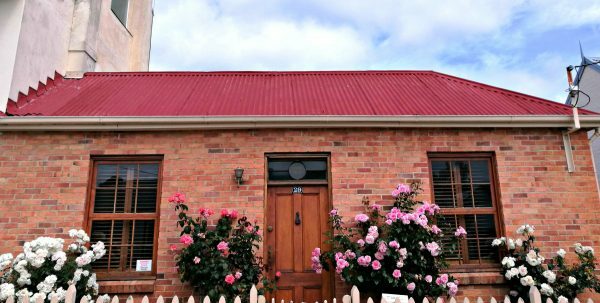 Of course, you might want to save these places for dinner as there are lots of great stalls at the markets serving delicious eats made with local produce. 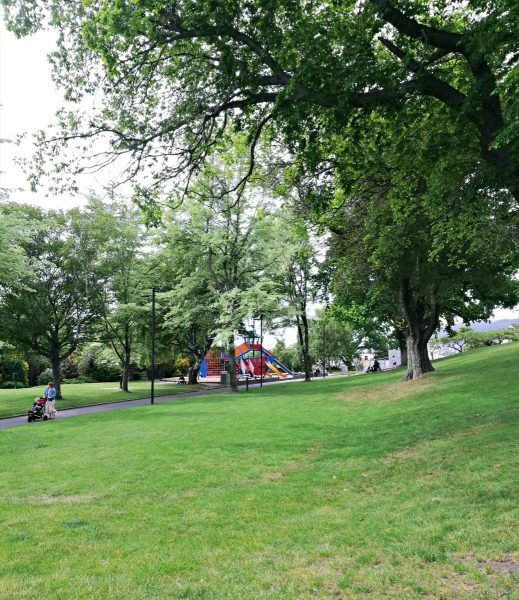 If you walk far enough towards Davey Street you might also like to picnic with your choices in St. David’s Park, another Hobart icon with the sandstone lions keeping guard at the gate. 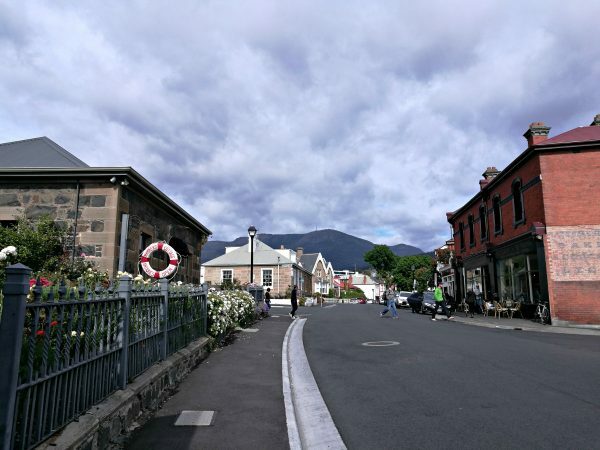 If you have had enough of the markets then you can walk down towards the Brooke Street Pier and the rest of the Hobart waterfront area. Tasmania is known for its fresh seafood and the best place to get it is right on the docks! As you walk along the waterfront you may notice the MONA ROMA boat which leaves from Brooke Street Pier and takes you to MONA if you are heading there to explore some art; although you might wish to do it another day as it is also an attraction that requires a few hours at least to enjoy. Continue on past the Constitution dock bridge and you will pass by Fish Frenzy (one of my favourite restaurants for seafood, I recommend the fish burger!) and the historic Lady Nelson tall ship. This replica of the original ship can be privately chartered or you can simply join one of their regular outings on a Saturday or Sunday and sail along the Derwent River; read more here. 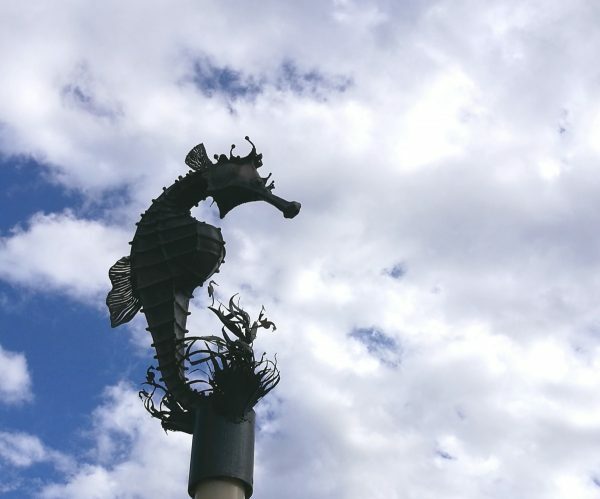 Not far from here you will see a large sculpture of a seahorse to lead you to Mures, another Hobart institution that serves the freshest seafood and also has a very impressive ice-cream selection! The best part about eating at Mures or Fish Frenzy is that you can either sit outside or inside by a window and see out over the docks and fishing boats while you taste some of the freshest seafood around. Another part of Mures I love is the huge mural they have on one wall. Nearby there are also quite a few fish punts where you can also get fresh fish and chips if you simply want to sit by the water and have a snack. There is also often a resident seal swimming around here and hoping for scraps. 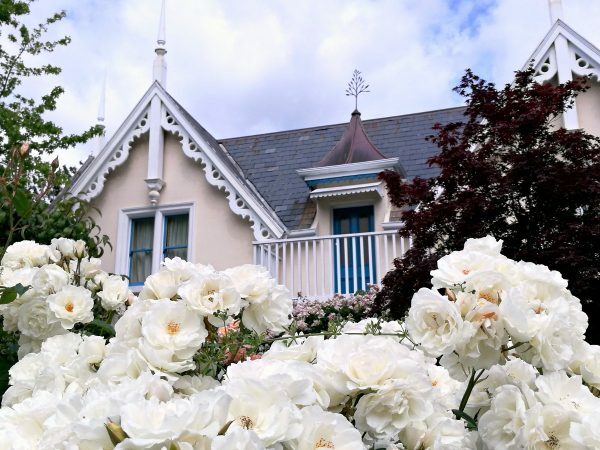 Directly across the road you will see the Tasmanian Museum and Art Gallery, which is also definitely worth a visit if you’d like to learn more about Tasmanian history, flora and fauna. 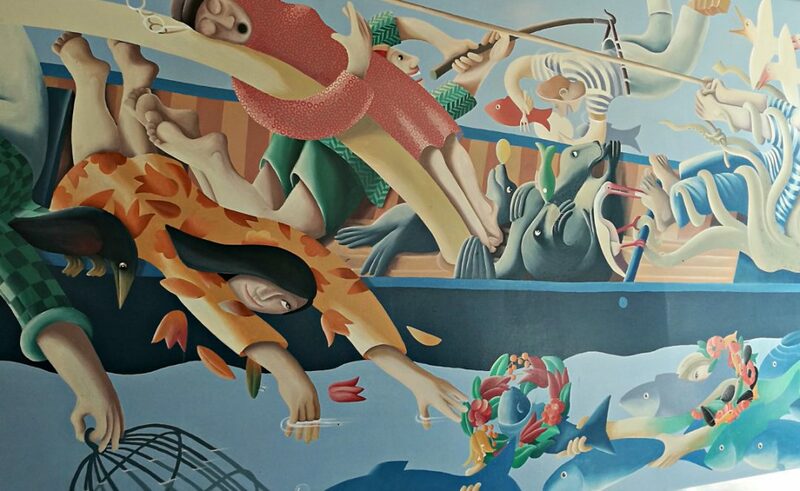 Nearby is another museum, the maritime museum which is, of course, dedicated to the sea-faring history of Hobart. 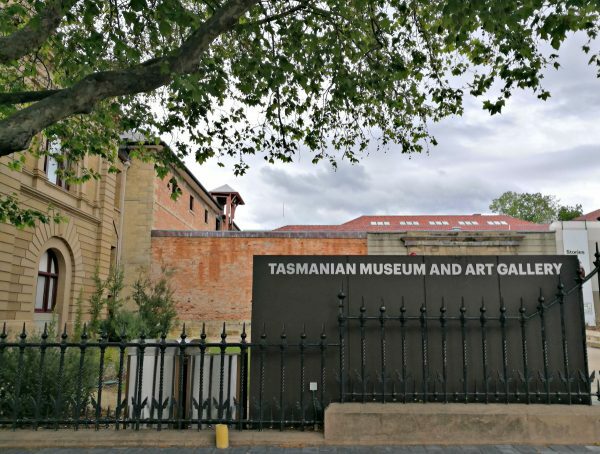 Both of these museums are great ways to find out more about the colonial and maritime history of Hobart and Tasmania, and the TMAG particularly is lots of fun for kids AND it’s free! On the other side of the Franklin Wharf you will see some other lovely old buildings, one of which used to be the IXL Jam canning factory. Now it houses the University of Tasmania’s Art School, the Henry Hunter Art Museum and a very cute little cafe called Jam Packed. Jam Packed does some great breakfasts and lunches and also has lots of interesting and tasty things to buy as gifts or for yourself. The Henry Hunter Art Hotel is a very luxurious place to stay, and I once ate in their restaurant which was also very impressive. 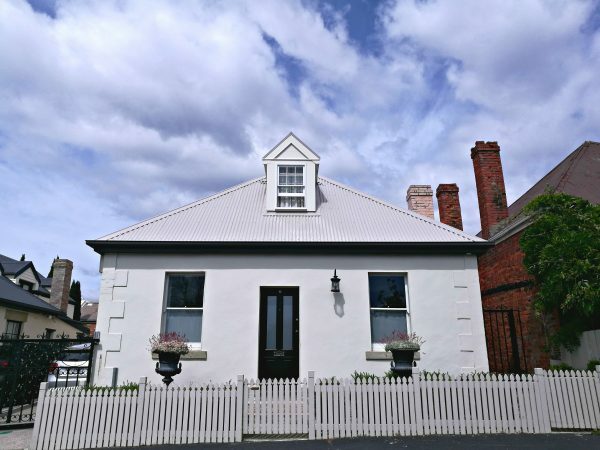 However, it is a couple of doors down that you will find one of my all-time favourite Hobart restaurants, the Drunken Admiral. This is a great place to go for seafood (of course) but the thing I love most about it is the decor as the interior of the restaurant feels like you are inside a big pirate ship! 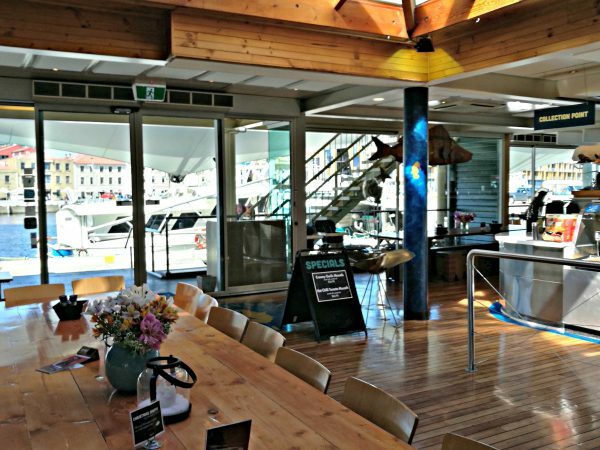 Unfortunately I didn’t have time to go there last time I was in Hobart (so no photos to show you) but I would definitely recommend you visit if you like seafood and very unique eating experiences; this would be another great one with kids! I hope you have enjoyed reading this as much as I have enjoyed reminiscing (and salivating) about my favourite parts of Hobart. All the places I have mentioned (plus a couple of extras!) I have marked on this map to help you plan your own walking tour through the Battery Point, Salamanca and Hobart waterfront areas. Purple markers denote streets that I have mentioned, dark green are parks, light green are museums, maroon are cafes and red are restaurants. There are also a couple of light blue markers for pubs/drinking spots, light purple for sights worth stopping for, yellow for the church and grey is the Norman and Dann shop. If you click on the coloured marker you can also check what the site is and click through to the website for each place (if there is one) to find out more about opening times, prices etc if you need more information. I hope this will help you enjoy your own time in my hometown of Hobart! Heading to Hobart? Pin one of these for later and plan your own walk around the historic waterfront area or let me know what your favourite spots are that I might have forgotten! Oh I’m so glad you also loved this area! Yeah, seeing the world is awesome but so is just wandering around your home town! I love the history of Hobart too, might need to write more about it! We’re so very fortunate to live here! !